Fresh-from-the garden vegetarian omelettes, pan-seared pork chops and spicy Middle Eastern falafels are just a few of the delectable dishes easily prepared in the Mauviel M'cook Stainless-Steel Frying Pan. 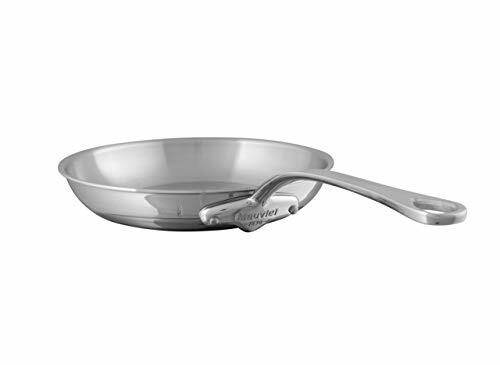 Five layers of stainless-steel and aluminum make the Mauviel M'cook skillet 50% more efficient than cookware with a sandwich or encapsulated base, reducing cook times. The 5-ply fry pan is a generous 2.6 mm thick with a polished, 18/10 stainless-steel exterior and nonreactive brushed 18/10 stainless-steel interior. 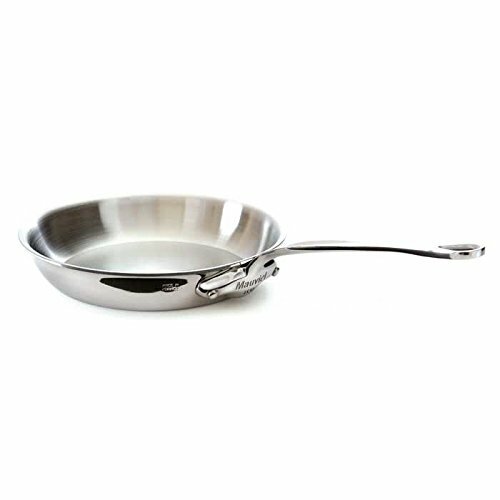 Fully induction-ready and PFOA- and PTFE-free, the stainless-steel frying pan quickly and evenly heats everything from oatmeal pancakes and chicken-fried steak to brandy-flamed peppercorn steak and fresh berry tart. Crafted in France by world-renowned Mauviel, the cookware's flared, non-drip edge makes pouring liquids easy and mess-free. A stay-cool oversized riveted handle ensures a safe, secure grip. 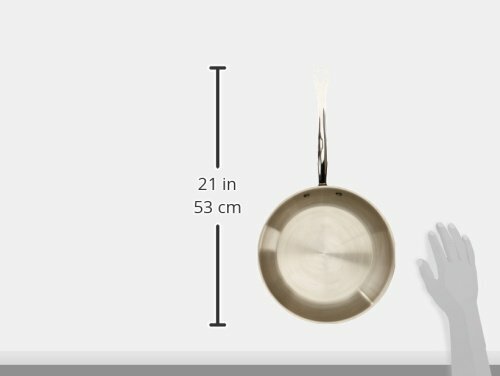 The M'cook skillet is suited for all cooktops, including induction, gas, electric, ceramic, glass and halogen. Oven-safe to 680 F and broiler-safe. In 1830 Ernest Mauviel founded his Mauviel manufacturing company in Villedieu-les-Poeles, France's "city of copper." Mauviel is a 7th-generation family-owned business and its superior cookware is still manufactured in France and preferred by distinguished chefs, culinary professionals and home cooks throughout the world. Originally specializing in copper products, today Mauviel 1830 also produces stainless-steel and aluminum cookware with the company's same legendary design and performance. With Mauviel's more than 180 years of expert craftsmanship, you can trust the lasting quality of the M'cook stainless-steel frying pan for your own kitchen.